One of our unique design concepts incorporates our Variable Width Quick Change Roll Tooling. The width of the tooling or part is varied with a simple handwheel leadscrew setting. 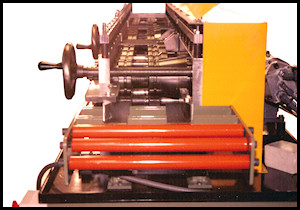 The Roll width setup can be performed in less than a minute. 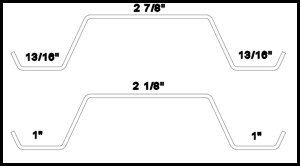 Variables can range from a few thousandths to around 20″ wide. Micrometer Read-Outs and Servo Positioning is available. Eliminates hours of setup and changeover Time. 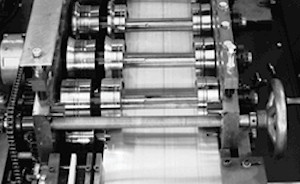 A single Handwheel moves the complete Roll Set along the Bearing Housing Side Plate. 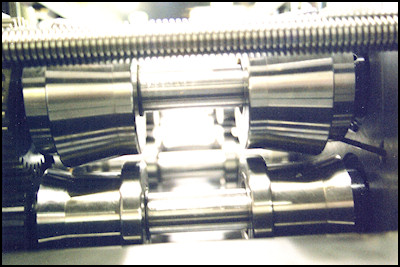 Lead Screws positioned throughout the Rollformer hold and retain the alignment. 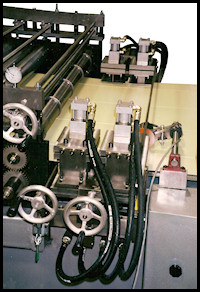 Infeed Guides, and Out-Feed Straighteners are positioned simultaneously in less than a minute. Width variables are infinite and can compensate for strip width variable. 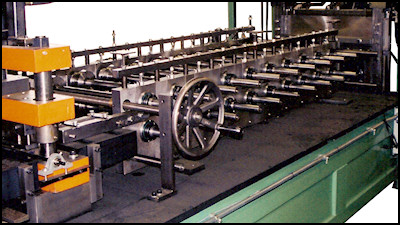 We take great pride in the technical designs and concepts we have introduced over the years to increase the productivity and accuracy of our Rollform Systems. 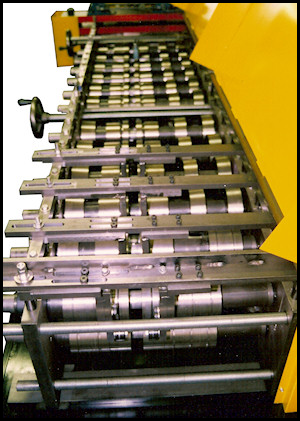 We have led the field for over 30 years developing programmable Index Feeds, Multiple Pre-Tooled Rollformers, Variable-Width Rollform Tooling and a wide variety of Quick-Change tooling and Setup concepts. 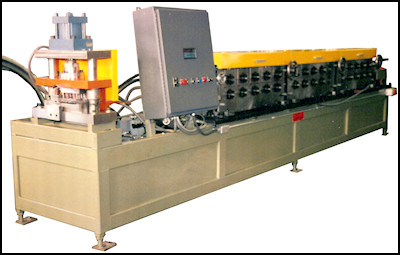 The system shown incorporates our Variable-Width Roll Tooling and Programmable Index Feed Drive. The width of the tooling or part is varied with a simple Handwheel Lead Screw setting.Roll width set-up can be performed in less than a minute. 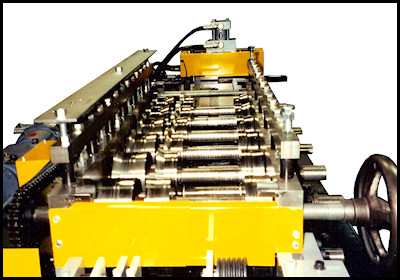 Variable-Width Tooling concept designed for a wide variety of Rollform configurations. 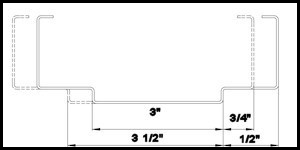 Special Dual Stage Variable Designs can be adapted to produce a wide range of part configurations. Special Notch and Punch Dies can also be positioned with lead screws to match variations in widths.